More snippets from a cracking dinner at Territorio ERA this week. We were given this blind and I must admit I thought it was a palo cortado. 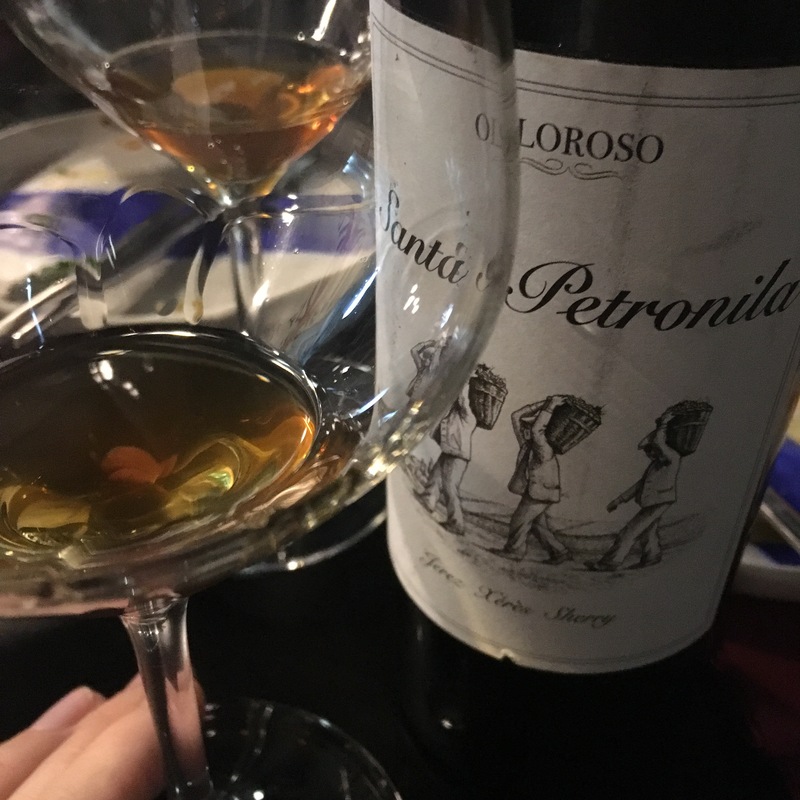 It is from Santa Petronila whose fino I tried a little while ago. As you can’t quite see it was a slightly yellowish brown in colour – clear but not fully crystalline. Has quite a spirity nose, with nuts and toffee laced with a bit of brandy, and then a nice bit of acidity first up on the palate. Not a big mouthful in terms of structure but a pleasant one with half toasted hazelnuts. All in all not your typical oloroso – comes across as a little lighter and finer than most. Very nice though and one to look for for further study.